She thought she found the perfect hiding spot, playing hide and go seek. My cat, Sassy, makes me laugh every day. She finds the funniest places to hide where she thinks she is invisible and I pretend that she is. I will walk throughout the house calling, “Sassy… Sassy, where are you?” She loves this game and I have fun playing with her. Of course, she prefers to be outside hunting birds and other prey but on snowy or rainy days when she can’t go outside, we play hide and go seek. If her eyes are hidden, she thinks she is hidden. She is just too funny. 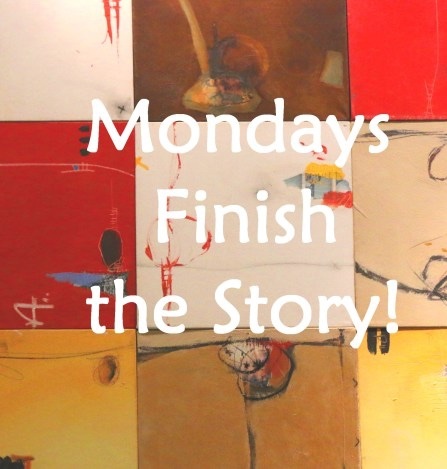 Thank you to Barbara Beacham for hosting Monday’s Finish the Story Challenge. She provides us with a lovely photo prompt, the first sentence to our stories, and approximately 100-150 words with which we write our stories. This challenge is open to everyone who would like to participate. If you want more information, click here. To read all the fantastic stories by the other participants, click here. Sassy sounds gorgeous – you’ll have to put up a photo of her PJ! Thank you! She went missing 2 years ago and I haven’t been able to find her. It broke my heart. Oh no! That must have been terrible. You can only hope that someone kept her.. Yes, I hope they did, except that she was a type of cat that was ferrel around everyone but me. If they took her then they took her to be a barn cat because she is such a good hunter. It was very sad for me because I loved her so much. its really sad when pets go missing like that – the not knowing what happened is the worst part.. do you have another cat now? well so long as she’s still in good health and happy – my cat is 16 this year. He doesn’t move as quickly as he used to, but still has plenty of spirit! She seems to be doing pretty good. She sleeps a lot but seems to be feeling pretty good. She is the type of dog that needs to be the only dog because she is a resource protector. That’s wonderful that your cat is doing so well. Cats seem to live longer than dogs. I think its his breed as well – a guy I worked with once had a Birman who lived to 18, which is very old for a cat.. its just hard when pets start to grow old isn’t it? they’re our babies afterall 🙂 I wish your puppy a long and healthy life ahead of her! Thank you and I wish that for your cat. Yes, she was! Thank you! Yes, she use to. She went missing 2 years ago and I haven’t been able to find her. It broke my heart. Oh, so sad. I think you had mentioned it in your earlier posts. Is it the same one – stolen, I guess. Some people are too miserable and fail to show kindness to other beings. Someone had poisoned my dog when I was kid. It was a lovable dog. That’s so sad Norma! I hate to hear about that kind of stuff. People can be so mean and ugly. Yes, she did! You are absolutely right Colleen! 😉 Cats are wily !! Cute story of your fun times. This is a hilarious photo prompt. Very nice cat story! 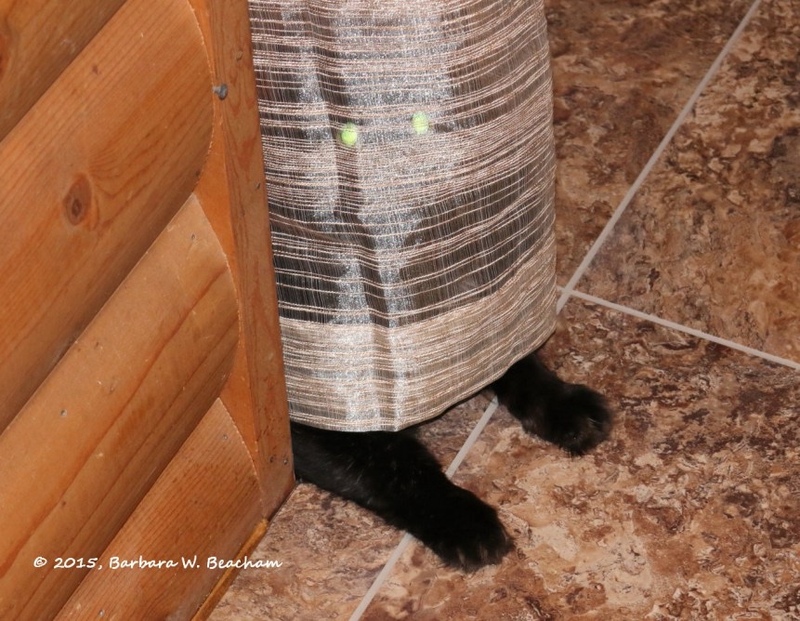 It made me smile thinking about a cat playing hide and seek! Can your cat really do this? Yes, she really did that kind of stuff. She was a riot! She went missing about 1 1/2 – 2 years ago and I haven’t been able to find her. I think she was stolen because she was such a beautiful cat and such a great mouser. What a great cat! I hope nothing terrible happened to her. I hope that too. I prefer to think of her as being stolen to be a barn cat than the alternative – which is being eaten by a coyote or fox. So sorry you lost her but wonderful you hve good memories of her. May you find peace in her memory!. Lovely story!! She was a fun cat! I really miss her. Your cat sounds awesome! I remember you writing about Sassy before, and it is shame when pets go missing. Despite her feral nature. she sounded like a lovely little cat. She was. I thought she was anyway. Thank you Francesca! A sweet story, PJ. 🙂 Sassy sounds like a lovely cat. Thank you Louise! Yes, she was a fun cat. Just like a little kid covering their eyes and thinking no-one can see them! Sassy sounds like fun. Sorry to hear that Sassy is lost. Sweet description of you and her playing. She sounds like she was a fun cat!